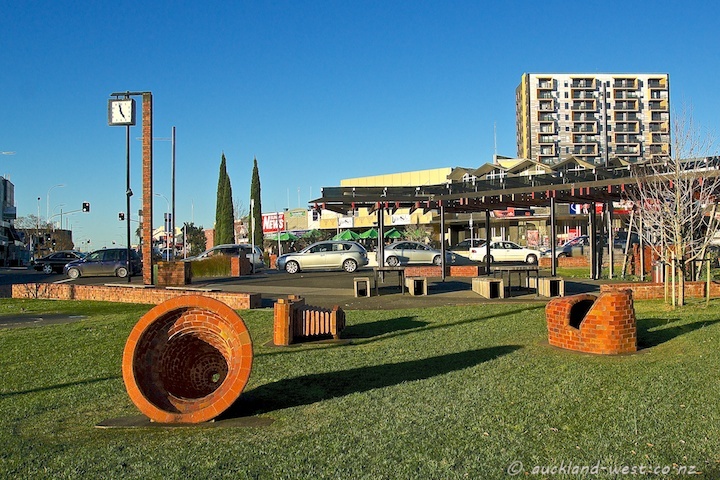 Afternoon sun casts long shadows over the Todd Triangle in New Lynn, highlighting Peter Lange‘s brick sculptures. Also visible: the Merchant Quarter apartment block and some traffic lights. New Lynn has the dubious distinction of having the highest density of traffic lights in the universe: 20 sets of traffic lights over a rather small area, with one more to come in the foreseeable future. The sculptures certainly appeal to me!